Read the facts about inductions here. Read about the benefits of skin-to-skin contact right after birth in this 2007 Nursing for Women's Health article here. 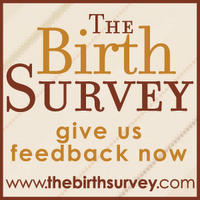 Having a doula attend your birth reduces the chances you'll have a cesarean birth, the journal Birth, 2008. "New Research Shows Why Every Week of Pregnancy Counts" read here about why inducing labor early could be harmful for your baby. Research comparing the health of babies born by elective C-section at 37, 38 and 39 weeks gestation shows the importance of waiting until at least 39 weeks. New England Journal of Medicine 2009. New research shows that epidurals during the first stage of labor DO increase your chances of operational delivery (vacuum, forceps or cesarean section) Maternal and Child Health Journal 2010 After 50 years, cruelty in the maternity ward is still common. Read about it in this 2010 article in the Lamaze Journal of Perinatal Education . -Is your baby BREACH??? Try the Webster Technique to safely and gently turn you baby so you can avoid a C-birth. To see the Webster Technique watch this YouTube video. Dr. Stasi Bara, 879-5799 www.BaraFamilyWellness.com, and Dr. Jessica Marsh www.southernpineschiro.com are both certified in this technique. -Prenatal Yoga class at SoHo-PiYo in Homewood: contact Krista Jones kristamartinjones@gmail.com or visit her web site. -Come to a Birth Stories meeting to learn about options for normal birth in Birmingham. Read about delayed cord clamping and cord blood donation here.